St. Bonaventure University '18. Journalism Mass Communications major. Aspiring news anchor. Born and raised in Cleveland, OH. Cleveland sports enthusiast. Runner. SURPRISE, Ariz.- Adrian Beltre is the third baseman for the Rangers, and will be seen wearing the number 29 on the field. He is the talk of the Rangers this year. His hitting is incredible considering he is close to 3,000 hits. Little did he know when he started with the L.A. Dodgers in 1998 that he would possibly make history one day. Hitting 3,000 hits in a career is a tremendous accomplishment considering only 30 other players in MLB history have achieved this. 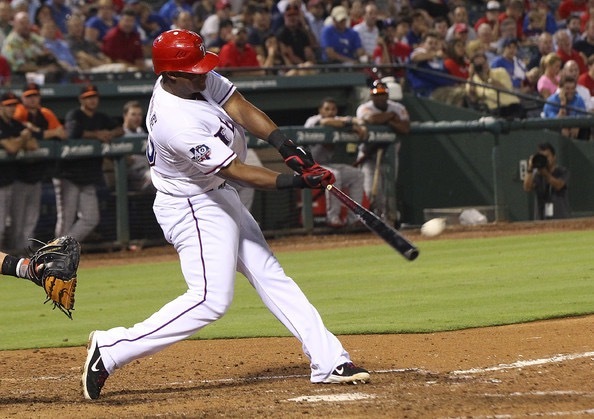 Beltre has a total of 445 home runs, and has a batting average of .286. He is 37 years old, and age does not seem to stop his swing. His contract lasts until 2018. Unless he is offered another contract, or does not retire, this season will most likely be one of his lasts. ARLINGTON, Texas- On April 3 the lights in Globe Life Park will be switched on, and fans will be passing through the gates for the Rangers home opener. Fans have a whole season of watching baseball, eating ballpark food, and enjoying theme nights at Globe Life Park. On July 5 the Rangers will be hosting the Red Sox, where fans will be joining in a Games Of Thrones theme night. 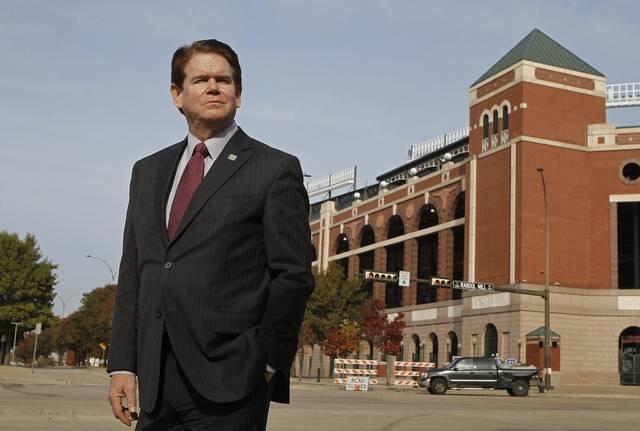 A bobble head of the Rangers manager will be given out. The Rangers paired with HBO to make this night happen. “We do have a Star Wars night every year on Friday night,” Jiamie Hobbs Promotions Coordinator and Ballpark Entertainment Production. The Rangers will be hosting the Angels on September 1, and they will be battling each other out with life saviors as fans join in to celebrate Star Wars night. There will be collector items as giveaways which are sponsored by Papa John’s this season. “Brining that back and that nostalgic feeling will be fun,” said Hobbs. A new addition of bell tower has been added to the ballpark. It may sound like a random addition, but third baseman Adriane Beltre is rounding the bases to almost 3,000 hits. He will be the 31st player in MLB history to accomplish 3,000 career hits. When he gets that final hit, a banner will be presented in his name, recognizing his achievement. The spotlight is truly on Beltre this season as the first 15,000 fans will receive a Medical City Healthcare Adrian Beltre Dancing Legs bobble head on April 29. In addition to the themed nights and promotions, there will be Friday Night Fireworks. Tradition in Globe Life Park stadium stands strong. Whether it is fireworks, a themed night, or celebrating victory. “We even have a giant broomstick vehicle we drive around before games,” said Hobbs. Rangers fans have a lot to look forward to in the 2017 season. No matter what your is age, knowledge of baseball, or entertainment interests are, there will be enough activities in Globe Life Park to fit your needs. 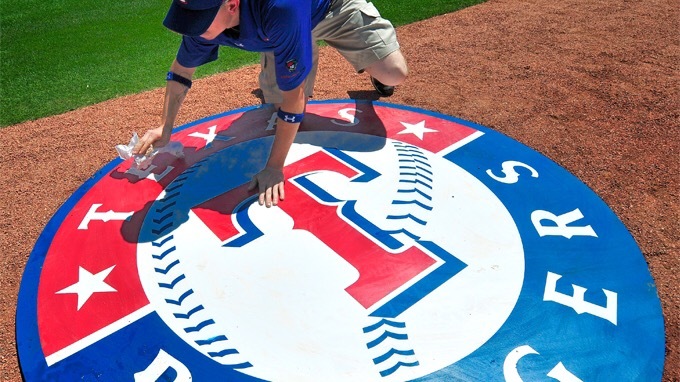 ARLINGTON, Texas- The Texas Rangers will soon be back at Globe Life Park where their fans will be cheering and indulging in Texas ballpark food. Going to a ballpark consists of watching the game, routing for your team, and of course treating yourself to the food. There is always a variety of food options, and each ballpark has their own speciality food. 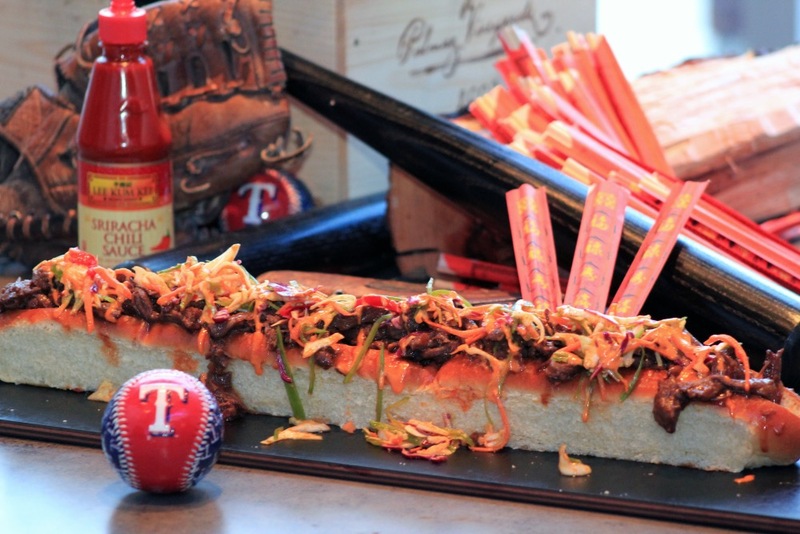 “We have a whole stand dedicated to oversized food because you know, everything is bigger in Texas,” said Jiamie Hobbs, Promotions Coordinator and Ballpark Entertainment Production. In Globe Life Park the “Boomstick!” is well known for being a 2 foot long hot dog that fans can put whatever toppings they want on top. 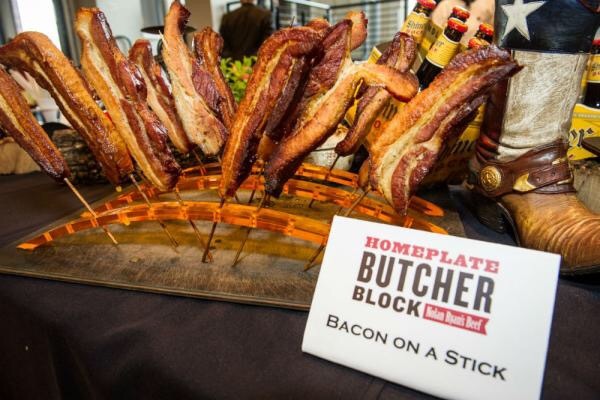 If fans are still hungry they can try either a bacon wrapped hotdog or bacon on a stick. Not all fans are into specialty ballpark foods. If that is the case then Casa De Fuego (taco salads, nachos, taco dogs), Capital 1 Club (buffet style), Gourmet Burgers, and Texas Grill (burgers) are for you. A baseball game would not be the same without an ice cold beer or in Texas style, a frozen margarita. The ballpark has imported and Texas beers. Bottoms Up Beer is specifically designed around a Texas theme, and serves ice cold Bud Light. Of course the ballpark has the typical ballpark food, but for those die hard Texas Ranger fans, these options are just for you. ARLINGTON, Texas – While the Rangers are at spring training in Surprise, Arizona, and the Cowboys are off season, area folk and visitors can unwind by listening to some smooth blues during the Arlington Blues & Southern Music Festival Saturday and Sunday. The festival will take place in the Arlington Music Hall and featured performers will be Holland K. Smith, LJ Echols, Paul Byrd Band, Lil Jimmie, Dylan Bishop and AYHONZ featuring Kenya C.
The festival is hosted by Michael Guinn, who founded Fort Worth National Poetry Slams. The Arlington Music Hall was built as a movie theater in 1949 and is rich in history.